the mystery of how God works. That’s what Jesus said in the parable of the sower. as the growth of seed in soil. and what happens when the combination is fruitful. which was in the translation of Luke we read. or we know something we whisper to those we trust. not with a whisper, but with a strong voice and a song. always something beyond us as much as within us. and Jesus bring us fully into that mystery. is like seed scattered on the earth. Some of it doesn’t produce much of anything. And some of it produces far beyond what you expect. might be 7 to 10 fold what you plant. 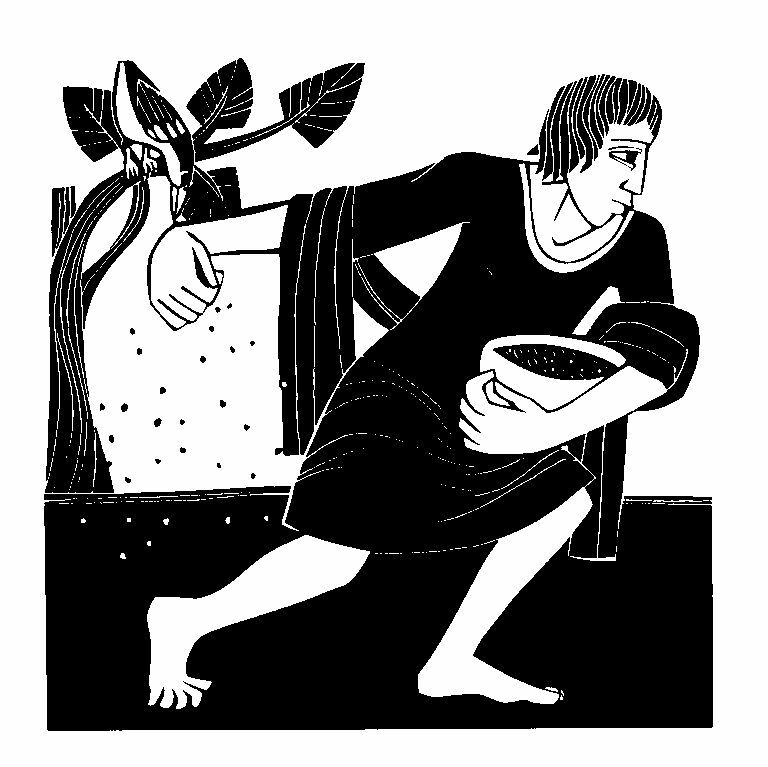 In the parable, the yield is 100 fold. and we are the good soil. By God’s own grace, and within folks like us. by corruption and misguided religion. or rather, it rediscovered him. it could only sprout and grow and flourish. He couldn’t contain it or quiet it. The growth was 100 fold when he only expected maybe 10 fold. and brought life and vitality to the whole Western world. if we expect much at all. and help the whole church rediscover? What is the mystery that Jesus says is ours to treasure and nurture? It is the mystery of how God works. even when we only bring fear, self-centeredness, and cynicism. is that God always brings more to the table than we do. and they sprout, and they grow. We are justified by grace through faith. and our trust in that mercy makes all the difference. The goodness of the soil is God’s. And the growing of the seed is God’s. None of that is ours to create, control, or contest. for the sake of a world of abundant mercy and grace. everyone will know this mystery planted in them. and it will lead to mercy and grace for all. The mystery of seed and soil is all right there. but I have learned that soil is not dirt. for whatever is planted in it. that we are more or less dirt. 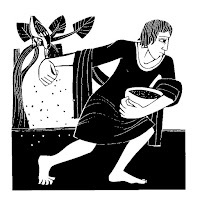 But Jesus says here that we are soil, and good soil at that. for whatever God plants in us to grow and produce. while we live in such despair and doubt and fear. to be part of the way God works in the world. and to be good stewards of what is growing in us. or whether God may have made some mistake. and it is always a work of grace and mercy. God’s working in the world. It only occurs a few times. We are stewards of the mysteries of God. in the growth of love, mercy, and generosity in the world. are also stewards of that mystery. for furthering the mysterious ways of God. if we really expect anything at all. simply because of God’s endless mercy for us and the world. that grow without our understanding or control. the word that is Jesus and the word about God’s mercy enacted in Jesus. This Word has taken root and is growing in us even now. what are we going to do with all this abundance from God? Or let it flow outward in acts of mercy, love, and generosity? by God’s word in Jesus, the word that is Jesus. you cannot keep it all for yourself. I don't know who was responsible for acquiring Mike as our pastor, but whoever it was, I will always be grateful to them. He is nothing short of phenomenal !